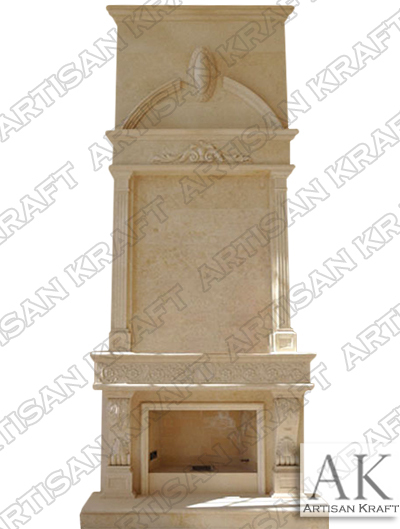 The is the marble version of the Italian Tradition Overmantel Fireplace. This can also be made from precast or cast stone. Pictured on the main page of this category. This version is larger overall standing at over 18 feet. Stone corbels and large marble pilaster columns.